Aesthetic Movement? Jug Unusual piece. 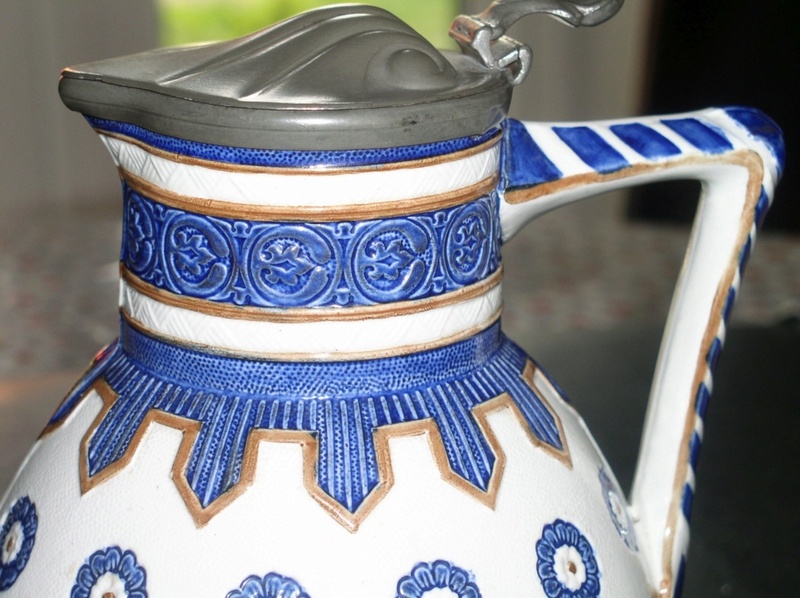 I purchased this piece at the local antiques center today it looks lovely quality especially the handle quite heavy too stoneware? 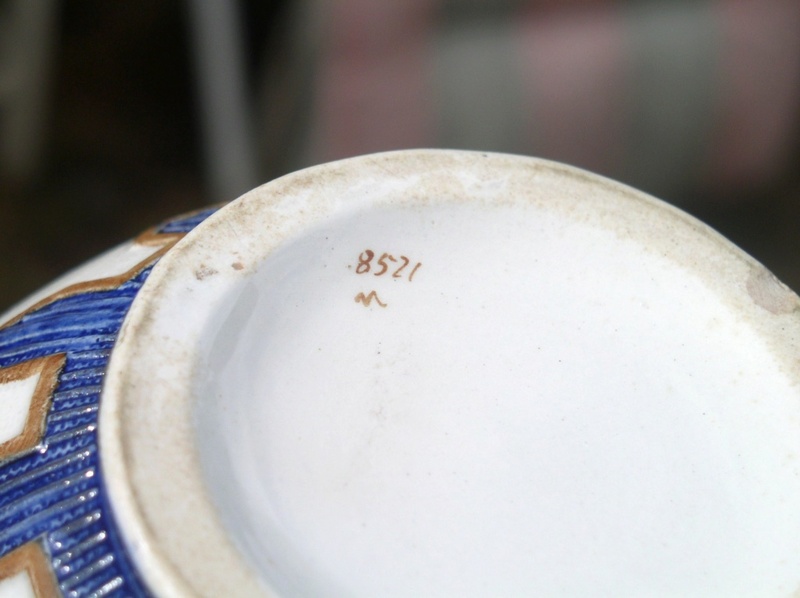 Sadly the ticket just read James Dixon's & son's lidded ewer no information the only mark underneath is a pattern mark maybe 8521 M underneath nothing else. 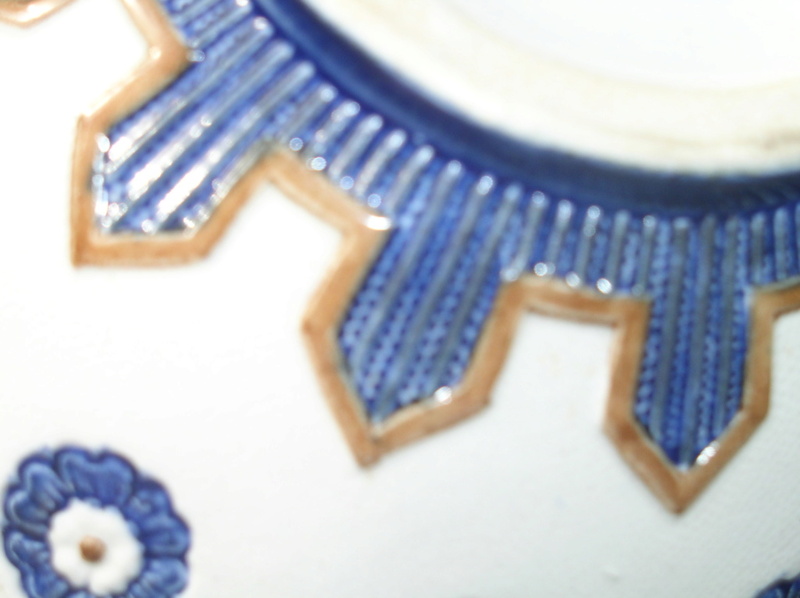 The research i have done the nearest pieces i have found have this cobalt blue are German salt glaze piece's i would love to know if my £12 investment was worth while i guess it is i like it and it is perfect condition. Sorry it is 8". Thank you for looking. Re: Aesthetic Movement? Jug Unusual piece. Thank you a place to start from would it slip into the odd Aesthetic movement category or simply similar? Just noticed it has two small hole's on the inside back of the rim for one of thos clapper tops i guess it broke so it has has a replacement from Dixon's you can see the remnant's of the hole's on the rim metal they have been skillfully hidden just the top clapper not the rim fitting has been replaced. maybe somebody thought enough of it to have it repaired at some point. That you dantheman i have also seen some similar pieces by Mettlach but that's usually well marked. 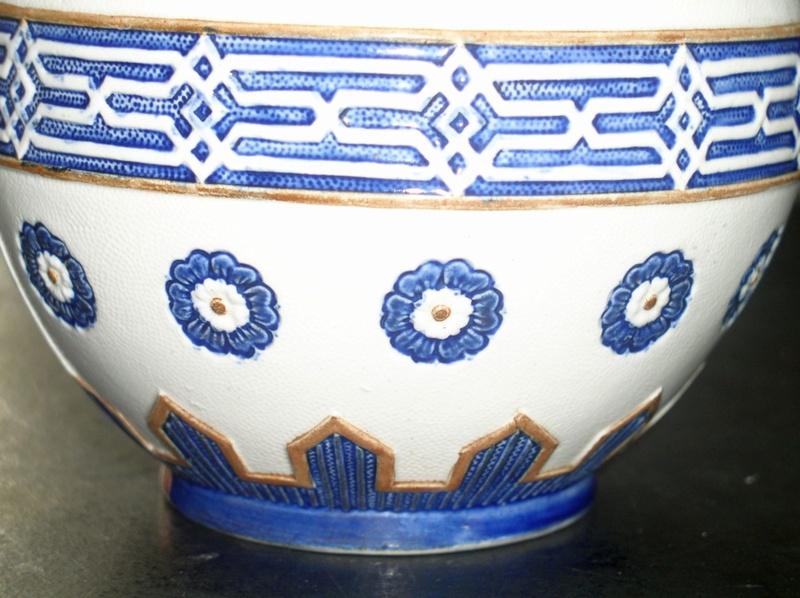 A similar style piece at auction in Germany. But its the style its harking back to. German steins are a fiddly market all of their own which you need expert knowledge to make definitive judgements about. 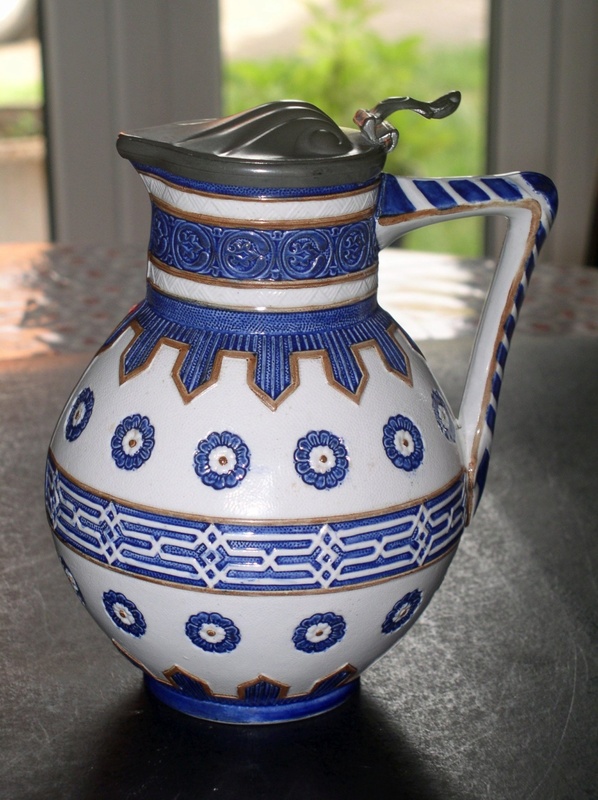 I think it's just another late 19th early 20thC moulded jug, maybe one of a set. Which normally had one of many arrangements of pewter lid. all unmarked, with just the usual hand written numbers. Probably Staffordshire.